Daily Prompt: Goals: express myself as others do!! The above image is of a written interview I did some years ago with Coagula Art Journal. I am a resurrected personality from days gone by. I felt the need to remember those days and share them. So I went to places where I use to express myself, which are… fanzines. Mat Gleason, The creator of Coagula Art Journal, is an old-time buddy of mine. He promotes and educates his community about art, which is beyond my expertise. Yet, Mat was willing to humor me by publishing this little introduction of my dream to awaken people to the long-lost days of late 70s and the 80s punk rock culture. Hark Hark… wait a minute. As the ghostly fog cleared over the next few years I witnessed that the world remembers. Punk nostalgia has since overwhelmed me, as the old days use to. My goal was to remember, write and express myself. Yes this is achieved !!! In “My Press”, located here on my WordPress site, I show the journey I have taken to get the word out. I have been interviewed by individuals that I respect, and to my amazement, respect me back: enough to interview me about my days as a co-editor and publisher of Flipside Fanzine. As an introverted Gemini I then made my connection with MySpace, Facebook and other online business and social networks. Anytime I feel myself ‘sinking in the quicksand’ of another person’s manipulation or control: working for them over working for myself. I pull myself away. I have painfully earned my individuation and need to vibrate this to the world on my own terms. I am gentle too!! My goal is to create a place to publish what I wish to share. I’m thrilled finding WordPress and to see the vast ocean of others who are doing the same thing as I which is writing and sharing their stories!! “This is it” I thought. It has been over a year now. 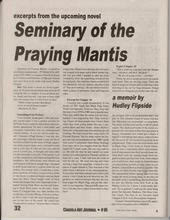 The Seminary Of Praying Mantis is my achieved goal. It is natural for a crone woman to sit back, reflect and remember and tell her tales and adventures… there are always a couple of people interested… or maybe just my cats, or the muses that echo back on this oracle called computer. 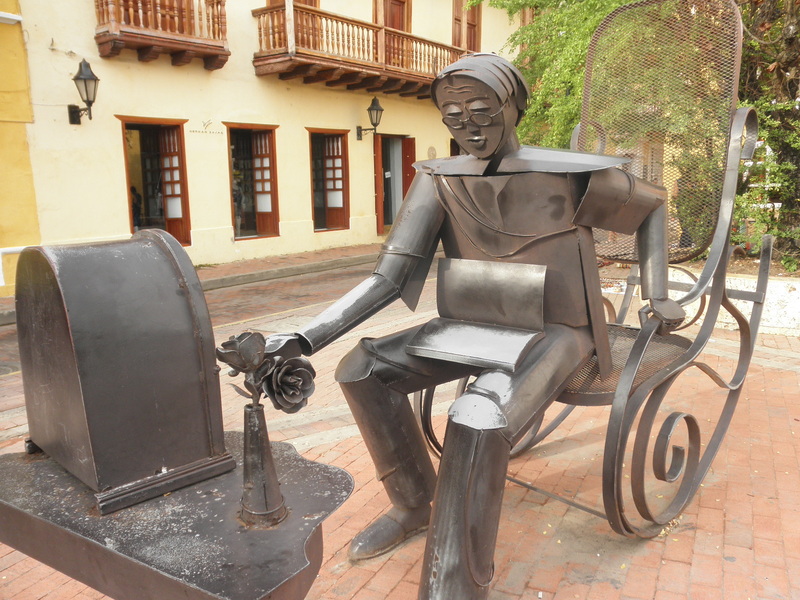 This entry was posted in "In the beginning there was a void except for the written word." The Avengers (Band), Embellished non-fiction short stories, PUNK NO-stalgia :Punk Rock and tagged Art, beauty, blogging, Coagula Art Journal, Daily Prompt: Goals: express myself., entertainment, Goals, media, Oral Tradition, politics, postaday, Subculture, the written word, Underground, Women. Bookmark the permalink.